HDF Energy wants to use hydrogen storage to firm up solar production in French Guiana. A proposed solar-powered hydrogen storage facility has work to do to back up its big claims. Hydrogène de France (HDF) Energy's French Western Guiana Power Plant would couple a 55-megawatt solar farm with hydrogen storage to deliver steady, clean power at any time of day. This process is supported by secondary storage in batteries. The €90 million ($105 million) plant would generate a fixed electrical output of 10 megawatts in the daytime and 3 megawatts during the night, adding up to 140 megawatt-hours per day. Elsewhere in the release, the company hailed its project as "the world’s largest power station,” which is plainly wrong when compared to any number of power plants producing in the hundreds of megawatts or higher, not to mention existing storage facilities with greater capacity. A spokesperson clarified that the other plants don't use hydrogen storage, altering the claim. The big question for the system is whether it offers an efficient alternative to other forms of solar and storage. The electrons have to go through more conversions than in a standard lithium-ion storage design. But that dominant battery technology has not proven economical for 24-hour firming of renewables, which gives hydrogen an opening to prove itself. 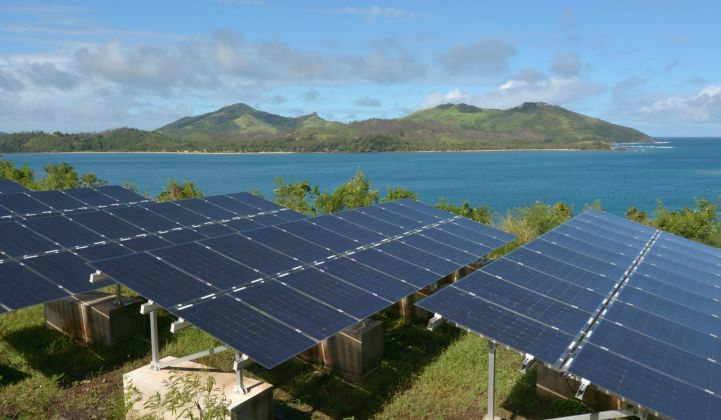 Around 15 megawatt-hours of battery capacity a day would be used to smooth solar production and help cover the evenings from 6 p.m. to 8 p.m., as well as providing a reserve for cloudy days, said Jean-Noel de Charentenay, strategy director at HDF Energy. 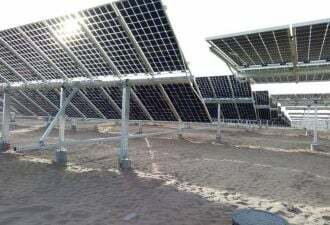 HDF said 16 megawatts of the output from its 55-megawatt solar plant would be used to create hydrogen via an electrolyser with 80 percent efficiency. The plant’s fuel cell would convert this back to energy at 47 percent efficiency, yielding a round-trip efficiency of around 38 percent for the hydrogen storage. A lot of that generation gets lost in the course of storing and retrieving it. A power-purchase agreement price will be set during negotiations with the offtaker, local utility EDF, he said. Another question mark is the nature of the project’s backers. HDF is hoping to achieve financial close for the project in 2019, with commissioning in 2020, he said. The company will be developing its project against a backdrop of skepticism regarding hydrogen’s potential as a storage medium. GTM launched "Wesoff’s Wall" to document hydrogen fuel cell companies’ apparent inability to ever achieve profitability. As of last November, it appeared some players might finally be on the verge of success, thanks to a focus on unusual niches such as drones and cruise ships. But given the rhetoric surrounding many of these companies, observers will be taking hydrogen project announcements with a grain of salt until developers can provide credible claims and, above all, tangible results.